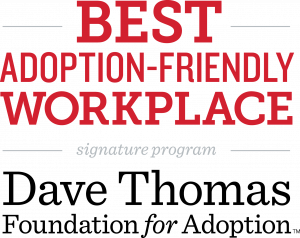 Washington, DC: TCG is thrilled to announce that the Dave Thomas Foundation for Adoption has named TCG in the Top 100 Best Adoption-Friendly Workplaces list for the third time. TCG is ranked No. 28 among all business in the United States, up 17 places from last year. TCG is also No. 3 among technology, information and research companies. In February 2017, TCG expanded the company’s adoption assistance program to reimburse employees up to $12,000 for child adoption-related expenses. The benefit covers legal fees, court costs, adoption agency fees, and travel expenses. TCGers can allocate up to $13,570 of pre-tax income to a flexible spending account each year to help cover expenses. Parents may also take advantage of the company’s other family-friendly benefits, including three weeks’ paid leave for parents with a new child and an emergency childcare service. TCG (https://www.tcg.com) delivers the positively distinct IT and management advisory services that propel America forward. We help government agencies achieve the amazing, saving taxpayers more than $1 billion. The Dave Thomas Foundation for Adoption is a national nonprofit public charity dedicated exclusively to finding permanent homes for the more than 140,000 children waiting in North America’s foster care systems. Created by Wendy’s® founder Dave Thomas who was adopted, the Foundation implements evidence-based, results-driven national service programs, foster care adoption awareness campaigns and innovative grantmaking. To learn more, visit davethomasfoundation.org or call 1-800-ASK-DTFA.